Our job is to work with you to help keep your family pet healthy from its first few steps through its senior years. 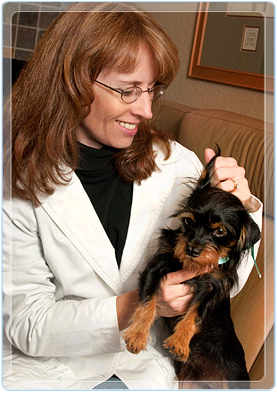 The following are Dr. Evans' recommendations for preventative health care for your dog or cat. DHPP vaccine 8, 12, 16 wks. Special procedures: Full labwork yearly (CBC, Chemistry, and urinalysis), Antibody titer vs. vaccine, Dental cleanings as needed. Special procedures: Full labwork yearly (CBC, Chemistry, T4 and urinalysis), Blood pressure yearly, Dental cleanings as needed.